Shop online with peace of mind. 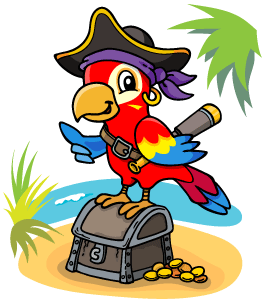 Our online store is powered by eWay, one of Australia's leading ecommerce providers. "We've just received our Christmas order. 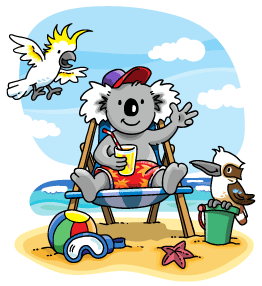 Our overseas relatives will love your Aussie books! A big thankyou!" 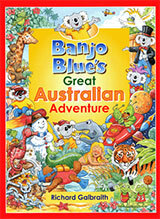 "Thank you for the Banjo Blue books. My grandson will love his Christmas present!" 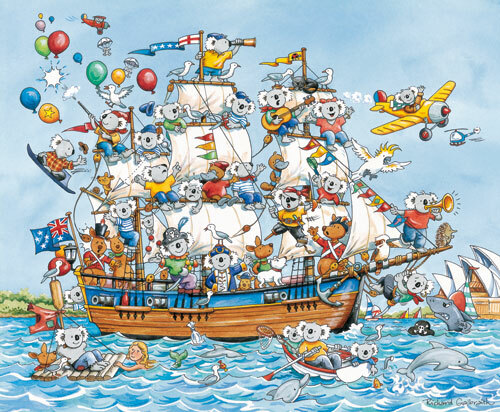 Richard Galbraith's artwork is enjoyed by adults and children around the world. His style is fresh and unique. His books, cards and stationery celebrate the Australian character and landscape, and all that is right with the world. "I used to buy your notepaper in the shops. I'm glad I can still order it online." "Thank you for sending the autism book so promptly. It's a gift for family friends of mine." 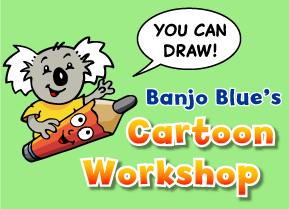 Banjo Blue's Cartoon Workshop is a website that teaches children how to draw cartoons. Each cartoon is broken down into lots of easy-to-follow steps. 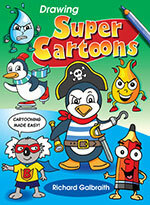 Over 350 cartoons to draw. The iPad is a fantastic device for learning new skills. 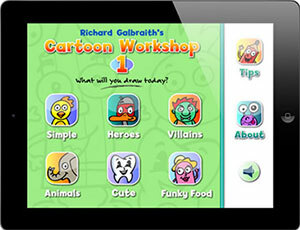 Richard has developed a number of iPad apps to help children learn to draw and create their own cartoon characters.